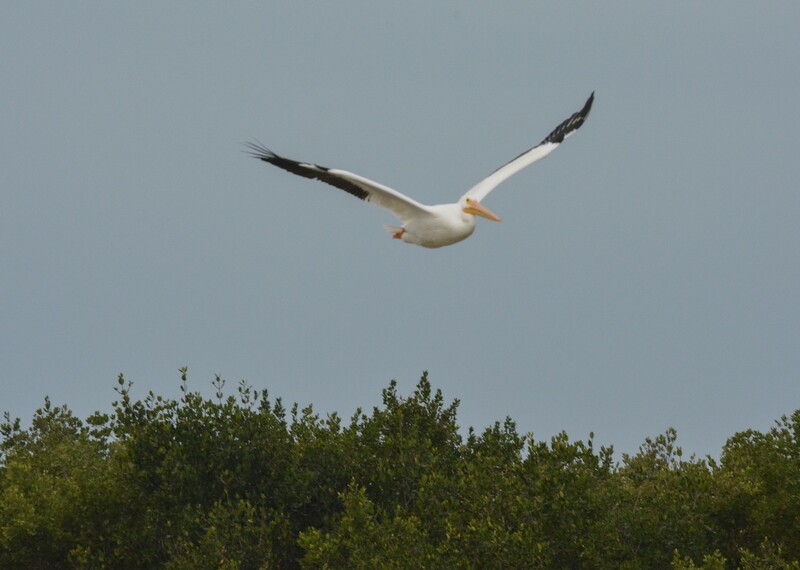 I was telling my wife that over the years of visiting Florida, I had never seen a White Pelican. My mother who had lived in West Palm Beach had thought they were going extinct. Turns out they are migratory and real snowbirds! We visited the Ding Darling nature preserve on Captiva Island and saw hundreds of these large birds. They are much larger than brown pelicans or even bald eagles for that matter with a nine foot wing span. I was fortunate to capture one in flight.